AMERICUS, Ga. - Dec. 20, 2016 - PRLog -- There could be a lot of questions in your mind if you are going to ship free weights like dumbbells, weight plates and barbells. The most common questions along with their answers are explained as under. Is there the need of palletizing the free weights? It's one of the top questions asked regarding whether to palletize the free weights. You can get ultimate recommendation in this regard from your LTL shipper because it's the shipper that has complete details about what other things are being transported in the truck. As a general scenario, the free weights are not palletized unless there is something that needs to be preserved, e.g. the shiny smooth surface of the equipment being shipped. Moreover, the free weights are also palletized when they have to travel a long distance in order to reach desired location. In that case, the free weights are palletized after proper application of shipping supplies for proper cushioning. While positioning and stacking free weights on pallets, it has to be made sure that entire weight is being distributed evenly on the pallet. That will make the pallet more stable. Moreover, it is to be ensured that too much of the free weight is not being loaded on the pallet. Thus, if you have more items, you can get another pallet and stack those items. 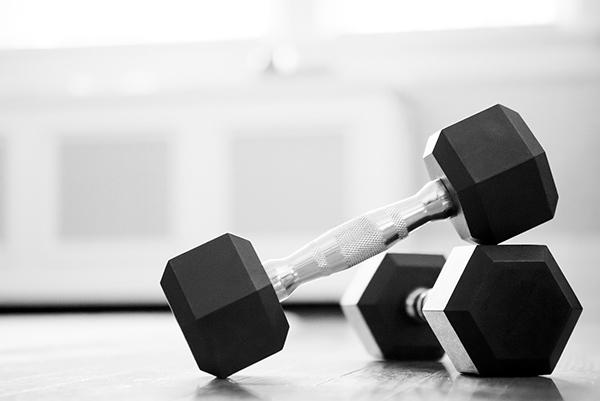 If you want to determine the cost of shipping free weights, you can look into the freight class the item belongs to. Freight classification system is the standard mechanism to determine the costs of items based on weight and density. It is being regulated by National Motor Freight Traffic Association (NMFTA). Generally speaking, item with more density usually cost lower than the less dense items. The main reason is that the high density items are easier to stow, and also these items allow a lot of other items to be loaded in the truck. With that said, the free weights usually cost much lesser while being shipped because they are highly dense. Nevertheless, the overall weight is also a separate factor that is considered while estimating the cost of shipping. - Make sure that the carrier you are going to select has professionals who can handle free weight. Lack in the knowledge and experience about handling free weight can result in damage or wasted time. - Look for the carrier that has reasonable volume of business at pickup end and area of destination. That will reduce the cost and time. - Alwa8ys look for the carrier that has better track record. A record of customer satisfaction serves as the guarantee that your items will be shipped in professional way.